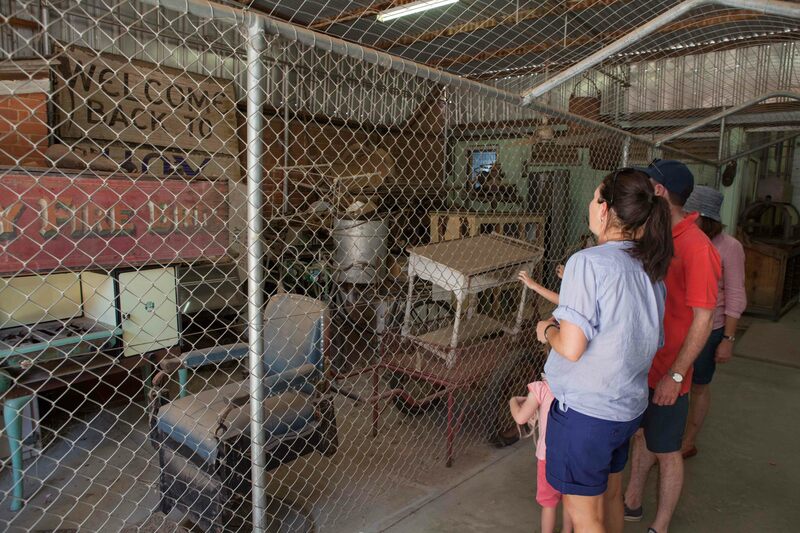 Opened in 1880, the state heritage listed Hay Goal has an intriguing history. Over the last century, it operated as a goal, a maternity hospital, a locked hospital for the insane, a prisoner of war detention centre for Japanese and Italian prisoners, an institute for girls and now finally a museum. Come and explore Hay Goal and find out it history! Wandering through the goal and discover stories of it past. Learn how a PWO was able to escape from such a tight fortress. See the van that the girls were transported in under the darkness of night. Think about what it was like to spend time in the solitary cell. 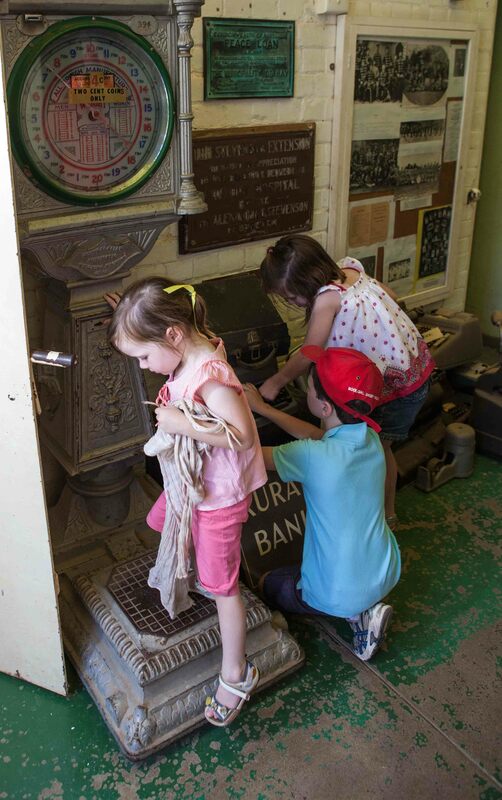 The Hay Goal through objects and stories explains the social history of the Hay district and its people. See the significant farming and plant equipment in the Nickless collection. Marvel at the old Clyde wooden windmills. View the fascinating motor bikes. Examine the detailed handwork on the clothing dating from the 1880’s and laugh at the Charlie Loftus sketches of local identities and events. There something for everyone. The Apex Park in the Gaol grounds is a great place for a picnic, and it has play equipment for the kids. 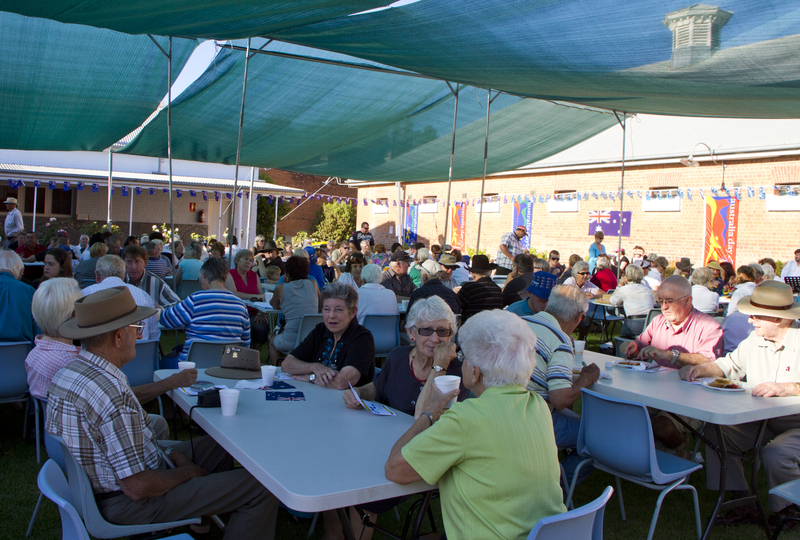 The Gaol Museum is the hub of Hay’s stirring Australia Day celebrations, which start with a hearty breakfast , flag raising ceremony and presentation of the town’s citizenship awards. The park is inside the Gaol grounds and is a great place for a picnic and has a playground for the kids.